My daughter turns eight today, my little solstice child. 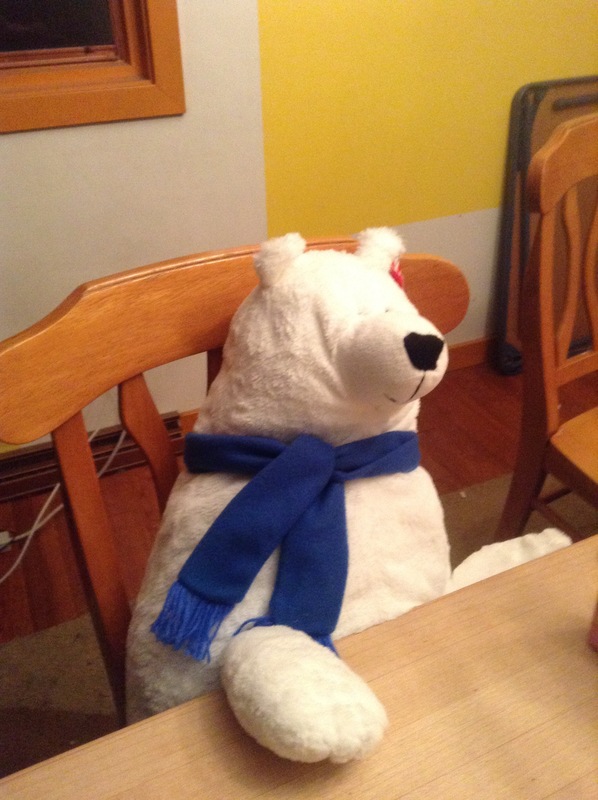 She had a party yesterday, and her absolute favorite gift from the party was definitely the polar bear that’s, well, maybe not as tall as she is, but pretty big anyway. Today, I went in to read to her class (The Day the Crayons Came Home), and she didn’t want me to leave. So yes, she’s who I’m grateful for today, my charming daughter with all of her enthusiasm. What are you grateful for this Monday? Cute polar bear :). Congrats on the b-day and making it special for her. From lions and tigers to bears? Oh, my! That has to be one big polar bear if it’s almost as tall as your daughter. Cute bear! I’m glad she enjoyed her party and appreciated having you read to her class.